Remember when your kids were just a growing bump in your carefree world? You already love them so much, that you can't imagine a time when they wouldn't feel like the most wonderful thing in your world. Then they come, and they scream and poop and grow up to throw defiant tantrums and wake you up at 5:00 am on Saturdays. Those kids that you love with all your heart and would sacrifice your life for manage to strip you of all your ability to give grace for their daily difficulties. Why is it so hard to give them grace when we love them so much? This past year looks nothing like I expected. Through all it's dramatic twists and unexpected blessings, I see the distinct handprints of God's faithfulness. It's the time of year where we count our blessings. As Christians we think of Thanksgiving as a time to be grateful for what God has done for us. But that's not quite enough. We must proclaim God's abundance to others. Because Psalm 145 exhorts us to share God's works, mighty acts, awesome deeds, greatness, abundant goodness, and righteousness, I can't keep silent on the works of God's faithfulness to me and my family in the past year. He enabled me to finish writing Unsupermommy. I was merely obedient to his calling; he was faithful to bring it to completion. When I needed physical help he provided baby sitters, grandmas, and a patient husband to support me. When I needed wisdom, his Word was a ready supply. When I needed encouragement, he moved in the hearts of others to speak. When I wanted to give up, he was persistent. He was faithful. He gave us the land. We're about to start building our farmhouse. My parent's technically gave us the land, but they were simply instruments of grace in our lives. Every piece of dividing off that land was met with a roadblock. We simply couldn't have made it through without God's amazing faithfulness. This blessing hasn't come in via the timeframe or plan we expected, but it is coming. He provided a winding path around the roadblocks of the county--one that was set in motion before my parents' even owned this property. He was faithful. When Wes was discontent and overworked at his previous job, God provided the unexpected gift of a career advancement close to home. We have already been so blessed by Wes' close proximity at Ridges so many times. When Wes did the first interview for that job, they were so honest in telling him they had two other internal candidates at the top of their list. But God had other plans for that position. He was faithful. We put our house on the market in May and sold it in two weeks to a buyer who didn't want to move in until September. Who has ever even heard of such a buyer? God was faithful. We moved in with my in-laws, and it has been so different than we expected. My MIL has only been at the house with us about 14 days in the 3 months we have been here, which means I've been shouldering a load of cooking, cleaning, and childcare that I did not expect. But he's been faithful in that too. He gave Wes the wisdom to insist on a Y membership where I can have some childcare and personal space. He has given me more patience and helped me establish a new routine for a quieter afternoon, even if it doesn't involve the alone quiet times we did at the old house. God has been faithful. 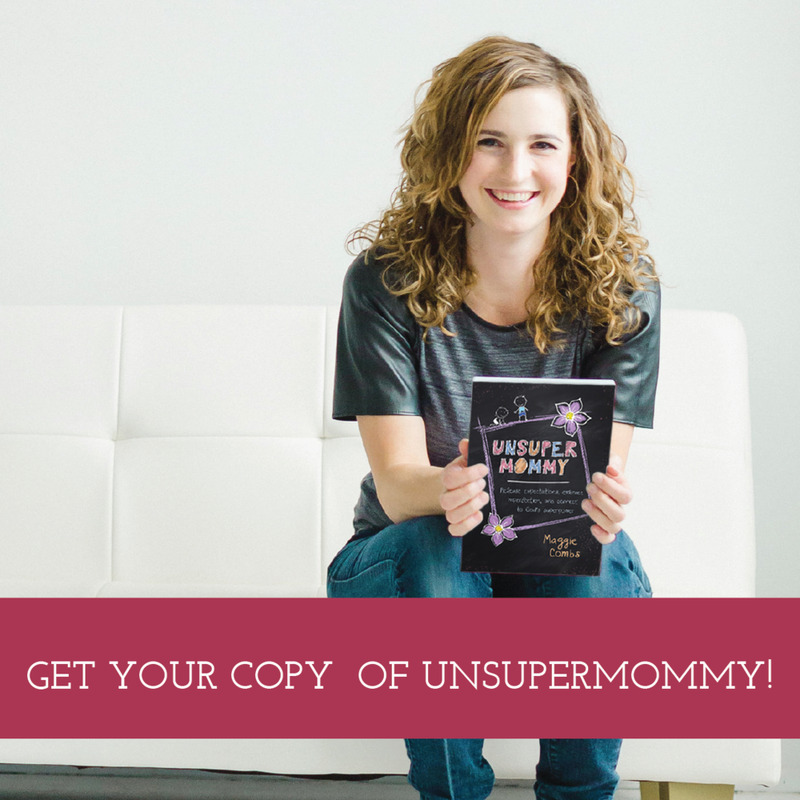 I was so afraid to reach out and ask people to write endorsements for Unsupermommy, but God met me there again. I've been humbled by the caliber of people willing to read my words and put their approval behind mine. Unsupermommy will certainly reach more women with their endorsements. I was afraid, but God was faithful. These six things are the big ones, friends, but there are so many more. All of God's faithfulness in every day moments could never be recounted. It would break the internet. That faithfulness must be whispered in the moment to our friends, spouses, and children. Don't let a chance to tell others about God's faithfulness pass you by. We are meant to proclaim it. Do this today. Tell someone, tell the world. Speak boldly about God's blessing on your life. Proclaim his faithfulness. I'm crazy about peaches. I like to eat them whole, like an apple, leaning over the kitchen sink with the juice dripping off my chin. I like them so much that I may sneak away while my kids play in the other room to eat my peaches in secret. It's hard to love peaches though. They're a fruit that requires faith. We invest in them when they are still hard, hoping for them to ripen to sweetness. Believing in the tender perfection that can burst forth if we catch them in that perfect moment. Sometimes that moment never comes. Sometimes they were picked too early and never lose their hardness or they were picked too late and the fruit has become mealy and bitter. Peaches remind me of psalm 1:3, "He is like a tree planted by streams of water that yields its fruit in its season, and its leaf does not wither. In all that he does, he prospers." Mommies, we may be firmly planted trees, but we only bear fruit in season. If we try to force fruit during the seasons of sowing, trimming, or abiding, from our sheer willpower to produce, it may be mealy or hard. The tending seasons require faith and faithfulness. We still do the work: water, weed, and prune. We move forward in obedience to the tasks God sets before us, but there are seasons with little to no fruit. Yet we hold fast in faith. We believe that God is working--in us and in our little ones--as we invest with hope, waiting for the moments of juicy sweetness, the ripe fruits. One day, we'll get our peaches.